The Terror of Tiki Pterodactyl! A Trip to Tropical Terror! 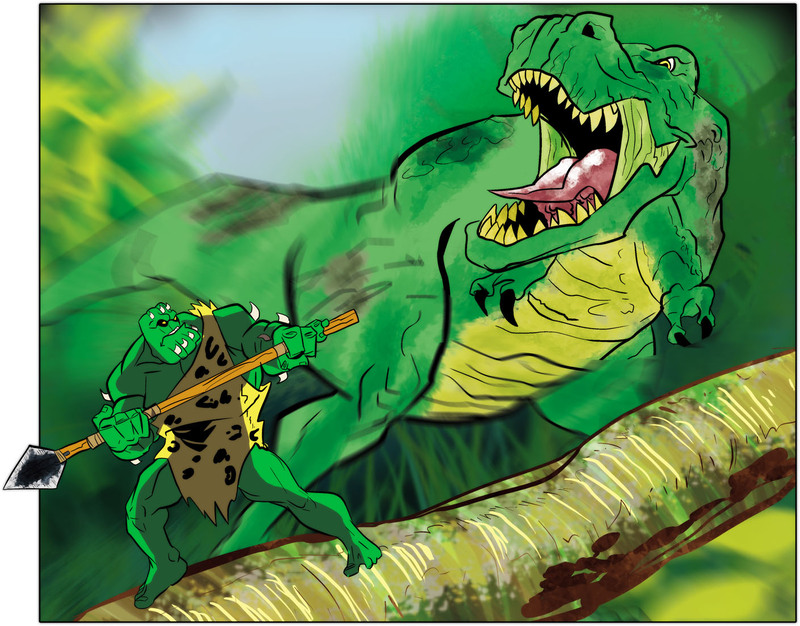 When the cruise ship is pulled off course and attacked by strange dinosaur men, the heroes are marooned on an uncharted island and thrust into an ancient conflict between mystical forces. Can they survive the island’s hazards and save the ship’s passengers from the sinister Temple of the Spirit of Fire and overcome The Terror of Tiki Pterodactyl...? This adventure for Icons Superpowered Roleplaying is suitable for any group of heroes and makes for a fun, off-beat change-of-pace. Give your heroes a “vacation” from the ordinary they won’t soon forget! 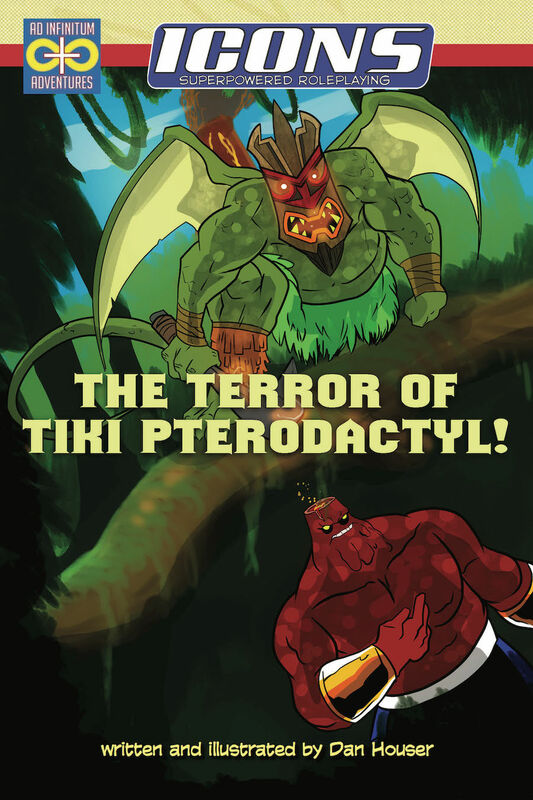 The Terror of Tiki Pterodactyl, written and illustrated by Dan “The Man” Houser, is now on-sale and available for download on DriveThruRPG and RPGNow!